What just happened? Another production problem has struck at TSMC, this time in the form of botched chemicals. Production is down at one facility due to contamination that has drastically lowered wafer yield. An incident involving defective chemicals has caused production to grind to a halt at TSMC's Fab 14B production site located in southern Taiwan. The facility's main customers include Nvidia, Huawei, and MediaTek. One of the chemicals involved in photoresist processes has caused contamination of production areas. 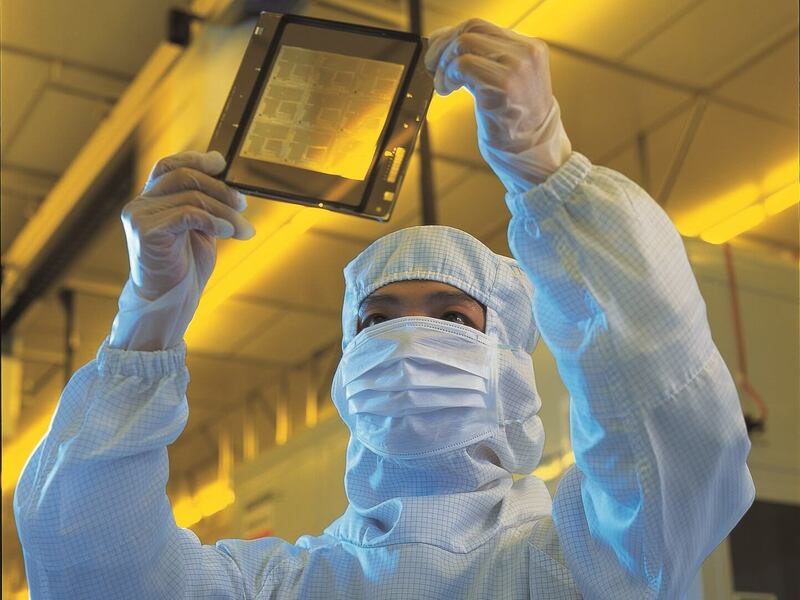 "TSMC has discovered a shipment of chemical material used in the manufacturing process that deviated from the specification and will impact wafer yield," reads the company statement. As investigations begin into the supply chain and production problem, there are already leading candidates to point fingers at. Shin-Etsu Chemical, JSR of Japan, and Dow Chemical are the three suppliers that TSMC procures the suspected chemical from. At this time is it sill unknown which of the three companies sold TSMC a defective batch. Revenue at TSMC may drop by up to 22 percent compared to the previous quarter, but this is largely a result of decline in mobile chip sales. This is TSMC's largest hit in the past decade, but 5G infrastructure will soon bring about great demand for more manufacturing. From a technical standpoint, TSMC remains in a strong position over the near term. Chemical problems at the plant will not cause TSMC to lower its financial goals for this quarter, at least not right now. Pending further investigation into the issues, that could later change. In August last year, TSMC also had its production lines interrupted by malware. That incident cost the company an estimated $84.7 million to clear up, or roughly a 1 percent loss of revenue. The WannaCry malware variant also hit factories producing chips for Apple's iPhones.